Your Tropical Paradise Has Been Found! Pristine beaches lined with palm trees and turquoise waters, luxurious accommodations and gourmet dining is waiting to be discovered in the Bahamas, Jamaica & Mexico. 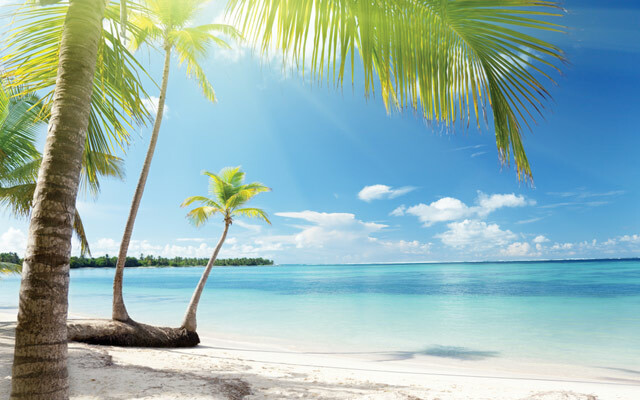 Believe it or not, Fall is the best time to plan a tropical mid-winter break. Go soak up some Vitamin D on a sandy beach, it is good for you! Mexico is a land of contrast, tradition, culture and fun, offering vacationers the tranquility and beauty of its lovely beaches, known and admired all over the world for their eternal sun and warm ambiance. Riviera Maya offers miles of untouched powder white sand as far as the eye can see, beckoning vacationers in search of quiet and relaxation. Jamaica is large enough to provide for every taste. Explore a rich island culture that expresses itself in superb cuisine, scintillating nightlife, and the sensual beat of reggae music where sugar-white beaches combine with shimmering waters to sooth your soul. World-famous beaches with the toe-twinkling seven-mile stretch in Negril, Jamaica is a paradise for everyone. In the Bahamas, discover a spectacular chain of hundreds of islands, each with its own distinctive charms and striking geography. In Paradise Island, world-class resorts line vibrant beaches teeming with evening activities.